Are you worried about your handheld CB radio range? How far can you talk on a CB radio? Do you wish for a perfect magical range booster? 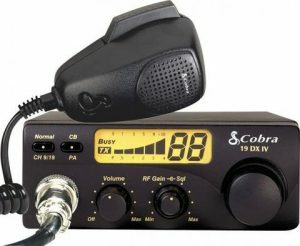 Does that small CB range upset you every time you look at your CB radio? After all, we all are looking for a high performing long range CB radio. Well, the good news is, there is a number of factors helping you in boosting your CB radio’s range. Go through the ‘Factor section’ of this article to understand how you can increase the range and what exactly are the reasons of poor range. If, however, you’re someone looking for buying long distance CB radio, we advise you to skip to our review section directly. It is written especially for helping you in buying the right product based on the range. And if you’re the person who is looking forward to increasing your Citizen Band radio’s range, find the eight key factors below. 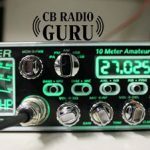 1 How can you increase your CB Radio Range? 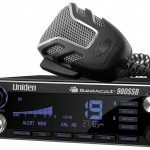 How can you increase your CB Radio Range? A CB radio normally gives a range from 1-2 miles to 20 miles, if everything is proper. What does it mean when I say everything is proper? We will come to it in this section. 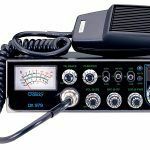 Most often people who’re using mobile CB radios ask themselves the question – How to boost up the range of my CB radio? You may not find the answer searching online. But let me tell you, it’s not that difficult to do. 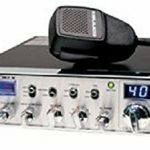 There are a number of ways to increase your CB radios range if you’re not looking to buy a new radio. Let’s look at some of the factors aiding in the range of your radio. One reason you may be getting quaint range is that power output of your radio isn’t adjusted properly up to its actual capability. 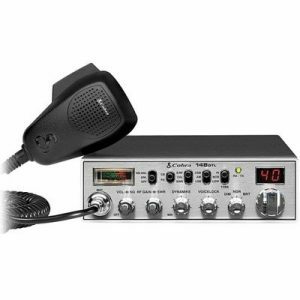 CB radio has a maximum power output of 4 watts as allowed by the law in many countries. For proper range, you need to tune your radio and adjust the power to ensure better quality sound. You don’t need to be an expert in this field. Some great local or online stores provide technical support in this regard. Contact them or go their site to get their assistance in increasing your CB radio’s range. If you’ve judged your radio’s range based on that one bad experience where you couldn’t find the good range in packed, crowded area, it’s not fair. Surrounding has a greater impact on range. Areas having wide spaces provide a long and excellent range for your CB radio since CB range cannot pass through mediums like solid objects. You need to thoroughly look at your antenna system. Is it not properly mounted? Is it not significantly taller? Antennas play an important role in establishing a good range for your radio system. The lengthier your antenna is, the longer the range will be. Try to look for antennas that have an excellent height. Make alterations in length by introducing better antenna to your radio. Not only length, but antenna’s type is very important too for good range. Different types of antenna offer different quality of radio range. For example, center-load antennas have a longer, efficient transmission and reception range. However, fiberglass antennas would not provide you the same quality range even though the lengths of these two antennas would be the same. CB Antenna range is clearly explained here. There are chances that you are receiving poor range for your CB radio because of ‘not so great’ quality antenna. This is, however, not a difficult task since you will only be replacing your antenna with a good one. Whip antennas are popular when it comes to using them in vehicles. You need to make sure your antenna is mounted high enough. If it is mounted low or if several objects come in its path, your CB radio wouldn’t provide the range up to its caliber. What you need to do for increasing the radio range is correcting the mount location of your antenna. Mount your antenna higher than other structures that may serve as obstacles. This kind of antenna placement will definitely provide a better range for your CB radio. There is a huge possibility of installation mistake limiting a long range of CB radio. Installation mistake would also mean not installing the antenna properly, or, not grounding it as it should be done. Improper grounding results in high SWR and inability to properly tune your antenna. Before installing the antenna on vehicle chassis, check the coax cable first. It shouldn’t be damaged or of poor quality. You are also advised to check SWR reading beforehand. After having a proper connection, avoid keeping your cable in loops and twists. This results in more RF power loss and less signal transmission. Another way to boost the range of the CB radio is using an amplifier or RF linear between your radio and the antenna. Unfortunately, this is illegal in different countries. You need to check your country’s laws in this domain. If output power of your CB radio exceeds 4 watts, it can interfere with other electrical devices. That’s why some countries like the USA has illegalized power boosters and has limited the range of power output to 4 watts or less. Last on the list, but, most efficient one. 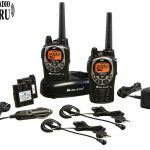 If you’re unable to diagnose the problem even after reading the factors and solutions above, we offer you to buy new radios. If the signal range is still poor, open your heart to CB radios that provide the best range you can possibly imagine from a CB radio. SSB radios transmit only CB audio wave having upper and lower sideband channels. This results in 3 times more power output, approximately 12 watts, establishing incredible and longer range. SSB radios are must have if you want to enjoy the maximum range. The only thing to note is that both the persons in the communication require SSB radio. It is not a secret that the CB radios with SSB features give the longest range. What’s the reason? Yes, they’re powered at 12 Watt, on the other hand, other CB radios are only powered by 4 Watt. This is the main reason why these radios are there in the best rated CB radios in the market. If you have the best antenna, the range will automatically shoot up! We’ve collected top three CB radios with SSB that can ultimately give you the best range. So, let’s buckle up and look into the best ones! This long range handheld SSB CB radio is our top performing CB radio when it comes to CB distance. 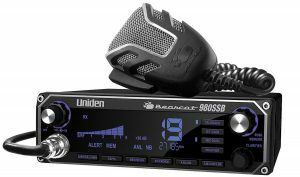 The Uniden Bearcat 980 CB Radio provides innovative features. You can check your levels with large digital S/RF / SWR meter. This comes with 7 different backlights to custom the right color. This perfect product has different pieces of equipment, just all you need. That includes integrated SWR meter, noise canceling mic, RF gain control, NOAA weather alert, ANL/noise blanker, automatic noise limiter, 40 channels, and more. This top range CB Radio has a large LCD with color changing feature which serves best for the driver, enabling him to see easily. You can adjust the backlight display, that means brightening and dimming it according to your will. With mic having noise canceling feature and perfect RF control, both transmission and reception get a clearer platform. Whereas, the integrated SWR provides excellent antenna matching. Galaxy CB radios are crafted with advanced features that a CB enthusiast can appreciate. The basic radio functions are designed in a manner that is enjoyable by drivers and bikers. The best part about it is that you can use it to the fullest keeping your focus on the road. Galaxy-DX-959 consists of 40 Channels. 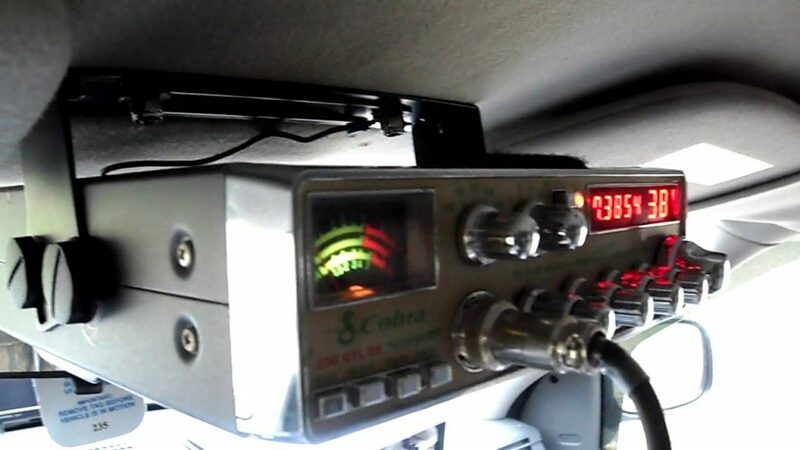 This incredible AM/SSB Mobile CB Radio has a five-digit frequency counter. For power output, this product offers large, the user-friendly meter having scales measuring for power output, SWR, signals, and modulation. The frequency counter and two-digit channel display use large yellow digits for display. This product comes with variable power output control along with variable talkback circuit having on/off switch. One other feature is Automatic SWR circuit and an SWR alert LED. Also includes ‘Roger Beep’ having ON/OFF SWITCH. You can turn off the meter light and display digits with variable dimmer control and push switch. Weak SSB signals can be recovered with its exclusive noise reduction feature called Galaxy Noise Filter (GNF). The 148 GT is an AM and Single Side Band radio that offers CB radio users enjoyable communication with the other AM and Single Side Band CB Radios. This is one of the best long range handheld CB radio you can bet your money on. The 148 GTL has perfect 12 Watts (Peak Envelope Power) power output on Single Side Band. When in SSB mode, RF power is transmitted efficiently, resulting in perfect increased range. This product provides increased channel locations in order to obtain interference-free communications. 40 AM channels with 40 channels on Upper Side Band (USB) and 40 on Lower Side Band (LSB). However, on AM mode, you can communicate with all other CB radios in the area. It has amazing features that include SWR Calibration, tone control, and adjustable Dynamike. The SWR calibration is for allowing calibration of antenna system for maximum performance and tuning the antenna to optimum condition. The tone control is for fine-tuning of audio levels. However, adjustable Dynamike’ Boost helps in increasing voice and clarity. Perfect RF Gain helps in adjusting the received audio gain in faint or strong signal areas. It also has noise Blanker to ensure increased noise reduction. The long range SSB CB radio also has incredibly 9’ longer mic cord so that you can reach out to it with much ease. You wouldn’t be needing to worry about your crammed car and mic’s placement to be able to reach it. 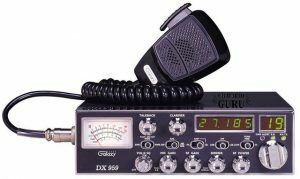 If your CB radio does not provide you the best range, it does not merely mean your radio is of poor quality. There are many factors that aid in the performance of your radio and subsequently, affect its range. These factors may include installation, antenna’s length and its type, mount position or surrounding. You can boost your CB radio range or distance in multiple ways that can surely work. 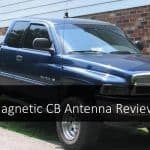 Remember boosting the CB antenna range can be done by altering the external factors we have covered above. Nevertheless, you can always buy new CB radio. However, you need to make sure your CB radio is Single Side Band if you want a magical range booster. They offer exceptional power output and an inevitable outstanding range.